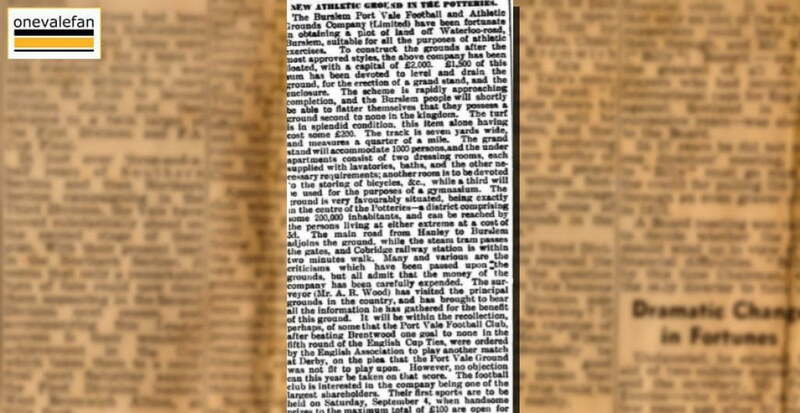 In this clipping from 1886, Port Vale announce the purchase of the Athletic Ground, Cobridge – their home for 27 years. The ground was home to Port Vale for 27 years, hosting twelve Football League seasons. It was located on Waterloo Road and was obtained from the Sandbach Charity on a 21-year lease. 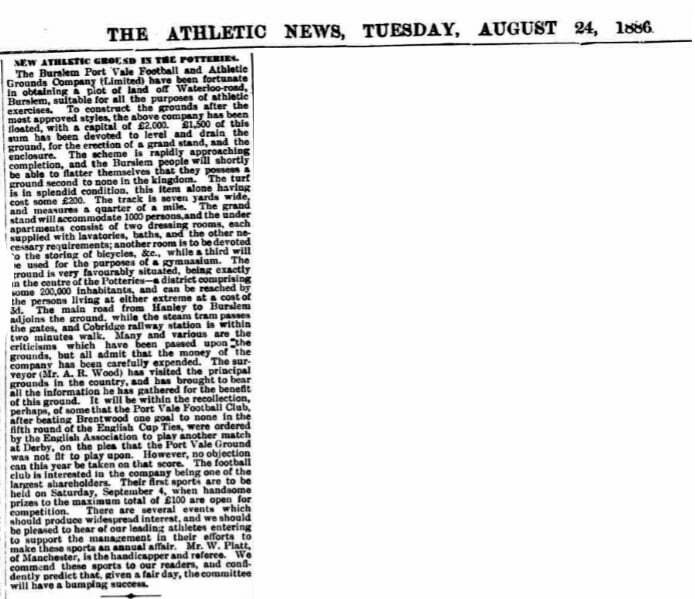 It was surrounded by a cinder track for athletics and cycling, hence the name. On the north side was a 1,000 capacity grandstand. The Valiants left the stadium for The Old Recreation Ground, Hanley in 1913.